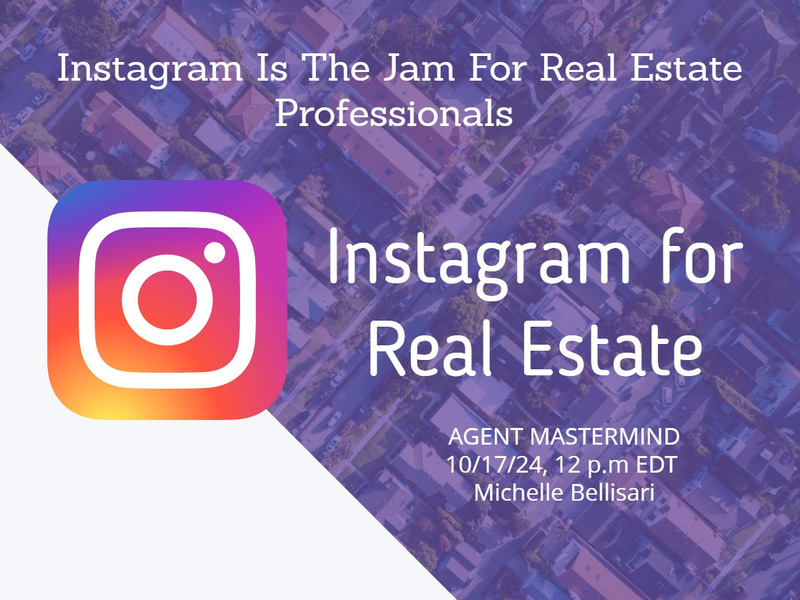 On the next live Agent Mastermind Class, Resident Instagram Expert and Realtor Michelle Bee Bellisari is going to break it down for us on why Instagram is the JAM for all real estate professionals! As an award-winning real estate agent for RE/MAX in Boca Raton, FL Michelle Bee Bellisari is also the founder of #SoooBoca Local, Lifestyle & Real Estate Blog and Sip|Social|Sell a Real Estate Social Media Training Company. Michelle has built her business using Instagram and Instagram Stories. She will show you why Instagram is the most effective platform for real estate professionals. On this class, Michelle will help you understand how to navigate the noisy world of social media by sharing with you a few “quiet” and effective takeaways that you can use as soon you get off the webinar. She will also show you how to be authentic when you are using Instagram & Instagram Stories. Some of the things you will learn are how to play with filters, plan your hashtags, enjoy engaging with others on the “GRAM” and cross-promoting your real estate biz to generate leads and grow your brand effectively. By leveraging Instagram today you will be a pro in no time and on your way to becoming the digital Mayor of your Real Estate community. P.S. I’VE GOT YOUR BACK!!! If you get busy and can’t make the live class (which is always best as these classes are meant to be interactive) don’t worry. The class is normally recorded and I can send you the replay! Just reply back to this email if you need me to send it to you! SEE YOU TUESDAY!